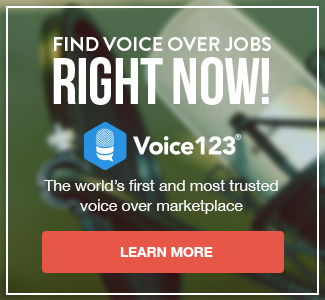 Working from home is wonderfully comfortable and convenient, but working from home as a voice talent is not quite as simple as it might seem. First and foremost, you’ll need good equipment—the kind of equipment that’ll produce top-quality recordings. Clients who pay you for your services have every right to expect that. In the voiceover business, you’re only as good as your last job, and great reputations are hard to gain and easy to lose. Professionalism and integrity are paramount. Allow us to repeat this: voice-acting is both an art and a craft. Just like any qualified artisan, voice-actors need the right tools to get the job done properly. Barely a decade ago, obtaining these tools was prohibitively expensive—especially if you were a new kid on the block with nothing more than a great voice and a gleam in your eye. Digitalization, the internet, and the home recording market have changed all that; equipment is much, much more affordable these days. “But how expensive is ‘good’?” we hear you ask. “Anywhere between $100 and $10 000,” is our reply. It may be tempting to go for the cheapest acoustic treatment options but the difference will always be noticeable. Invest in real acoustic foam to hang around a room, in a booth, or even in a cardboard box. You won’t regret it. This is great info. I’ve got the tools, and 32 years of radio experience behind me. Just recently had to leave my radio gig due to financial reasons. So I have nothing but time to devote to you and your Voice123 crew. I look forward to working with you!